The ecotianguis is tucked away behind the tennis courts and soccer fields at the Biblioparque Norte. These temporary premises are constructed with used pallets, clueing us into the organic nature of this market. The back side of the market has a few raised vegetable beds and a composting bin. After their move, the ecotianguis will continue this garden at the Biblioparque Norte, in addition to other classes they offer at the park. Entering the ecotianguis on the right, brightly tableclothed makeshift tables and mismatched handpainted stools greeted us. The food vendors occupy this corner. About 6 seperate vendors offer quesadillas, tamales, corn, enchiladas, and a wide variety of drinks and desserts. Chilango-style corn and piña colada cake? I think I will! Past the food vendors, the remaining tables offer a variety of gifts, jewelry, skin products, organic fertilizer, soaps and essential oils, cheese, honey, organic eggs, pecans, apple licqueur, agave syrup, chia seeds, and amaranth–a little something for everyone! Since I was being obnoxious with my camera, I chatted up nearly every vendor last Saturday. They were all invariably friendly, and a few didn´t hesitate to make sure we got the most of our experience, in both English and Spanish. From the little I saw, they were a supportive community, ready to draw our attention to a spectacular product that a colleague sells. Given small size of the market and the variety of the products sold, collaboration seems to be the name of the game, as opposed to competition. 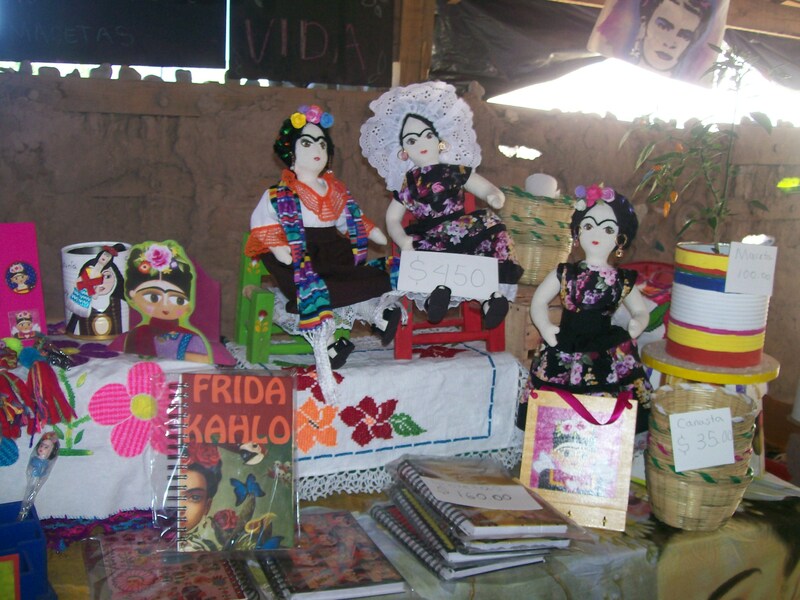 So this holiday season, if you´re looking for those “made in Mexico” gifts to take home to family and friends, why not go a step further and shop at the ecotianguis for some high-quality “made in Saltillo” gifts? Your loved ones then receive a useful and well-made present, and the money you spent on it stays right here in Saltillo, strengthening our community. 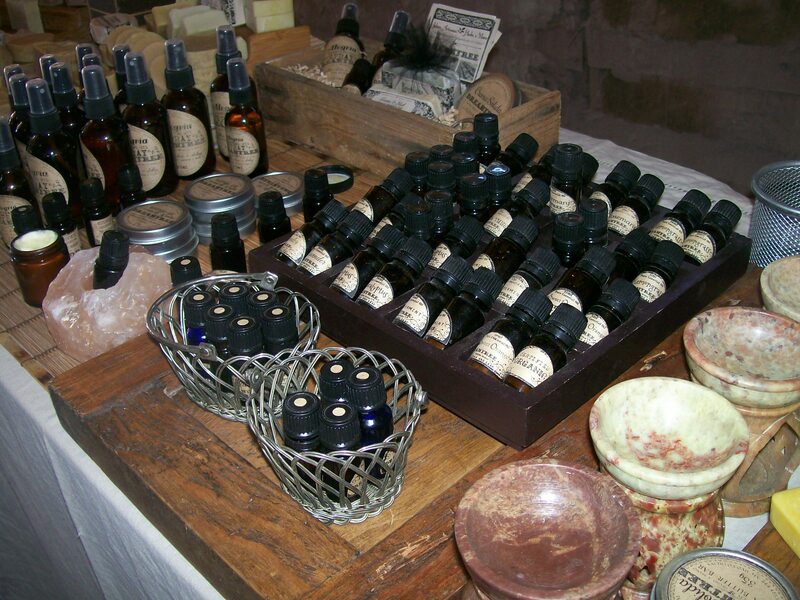 These essential oils and a gorgous line of homeade soaps are made by a fellow expat and her saltillense husband. 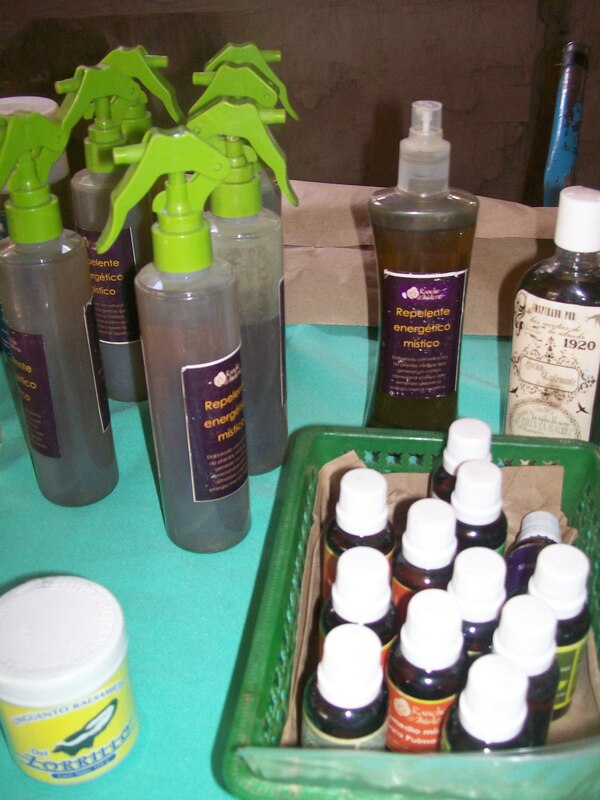 Find them on facebook or at http://www.dreamlandnaturals.com. 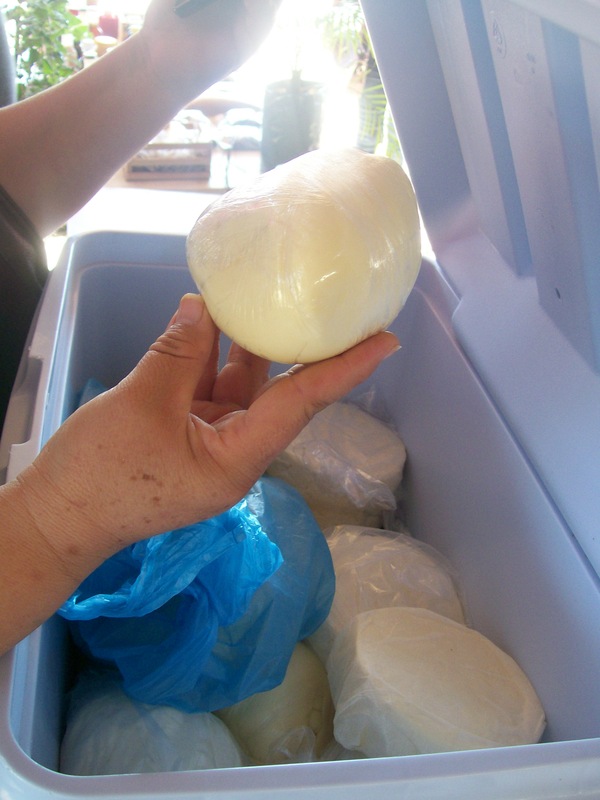 Fresh cheese from the town of General Cepeda–a mere half hour away and famous for its cheeses! 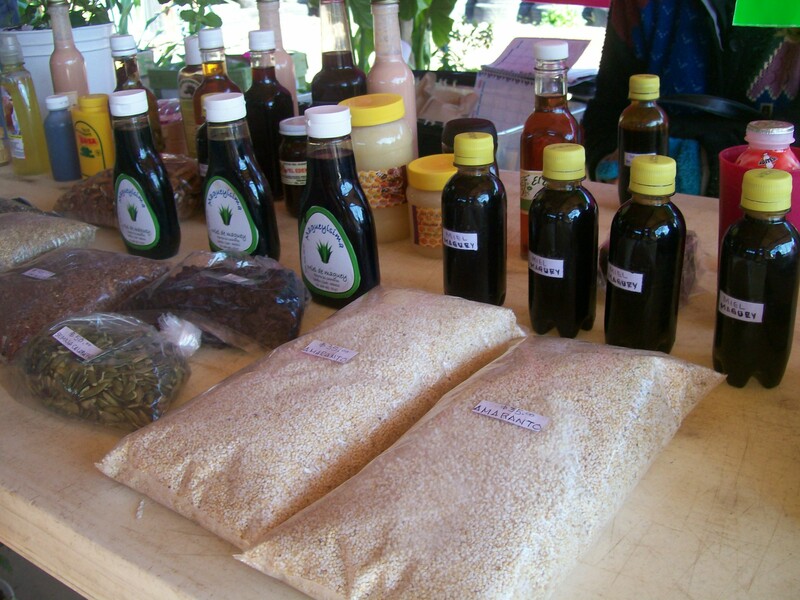 Agave syrup (a great sweetener, particularly for diabetics, I´m told) and amaranth. Next to them was a table touting superfoods! Superfood Man distributes an information-packed booklet on the wonders of superfoods, along with selling bags of superfood mixes. It looked like a great addition to granola, smoothies, etc. Gifts for your favorite Frida Kahlo fan. 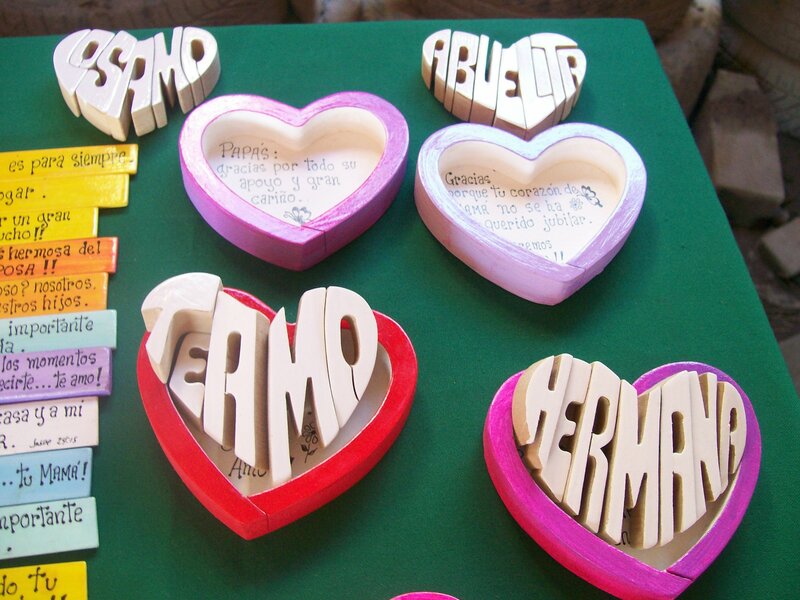 Beautiful wooden puzzles with a sweet message inside. However, “Here lives a lovely lady and an old grouch” is pretty tempting, too. Homeade soaps listing the benefits of their ingredients. 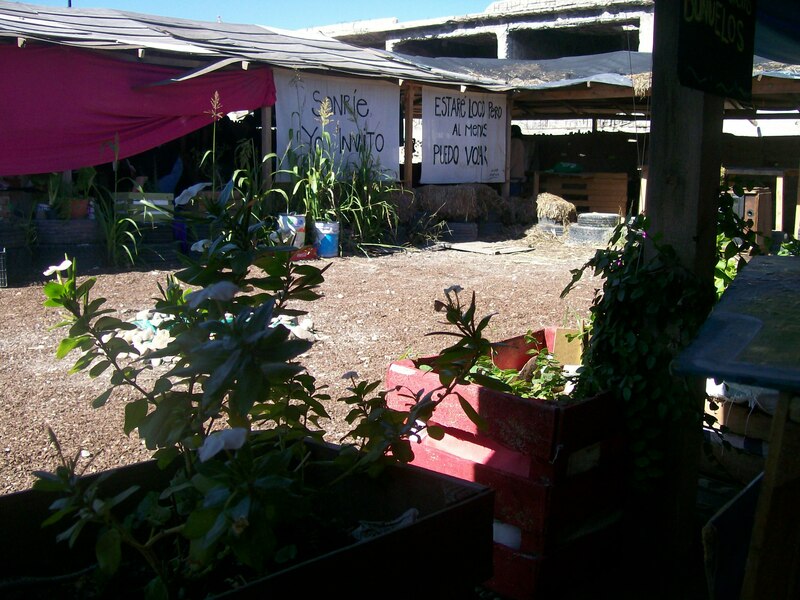 The patio of the ecotianguis. This space is used for a number of events, classes, and talks. I´ve seen a drum circle here, and I believe they had introductory yoga classes here every so often. 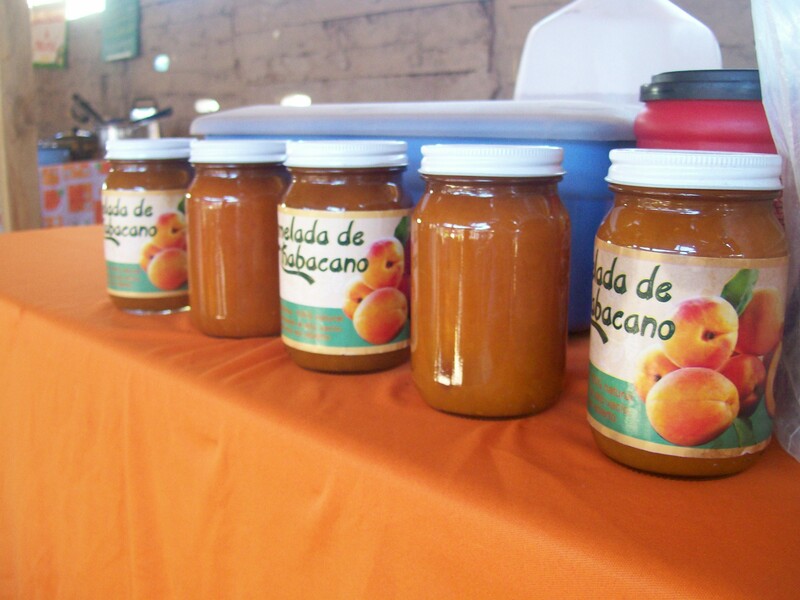 Update: The ecotianguis will sponsor a Christmas bazaar on December 6th, from 10am to 5pm. If any crafters or those with goods to sell would like a table, the cost is $150. 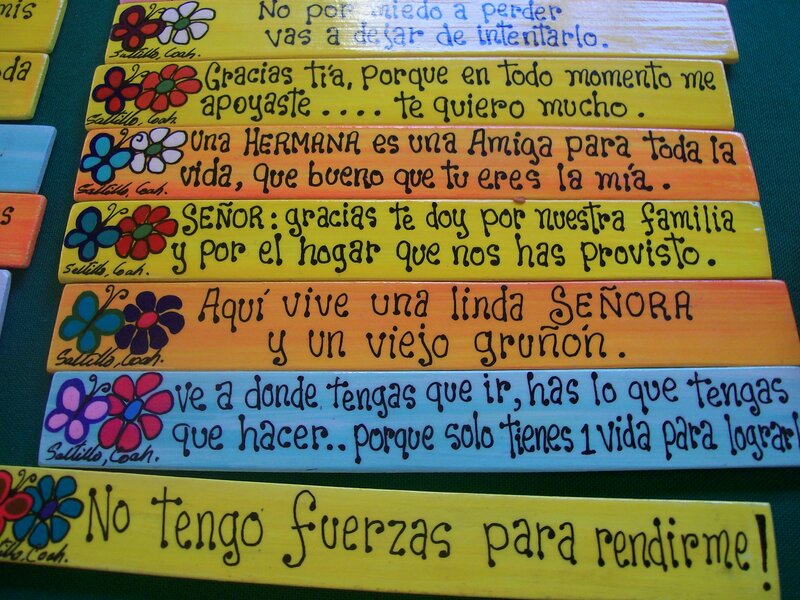 Otherwise, join me shopping at the ecotianguis that Saturday! 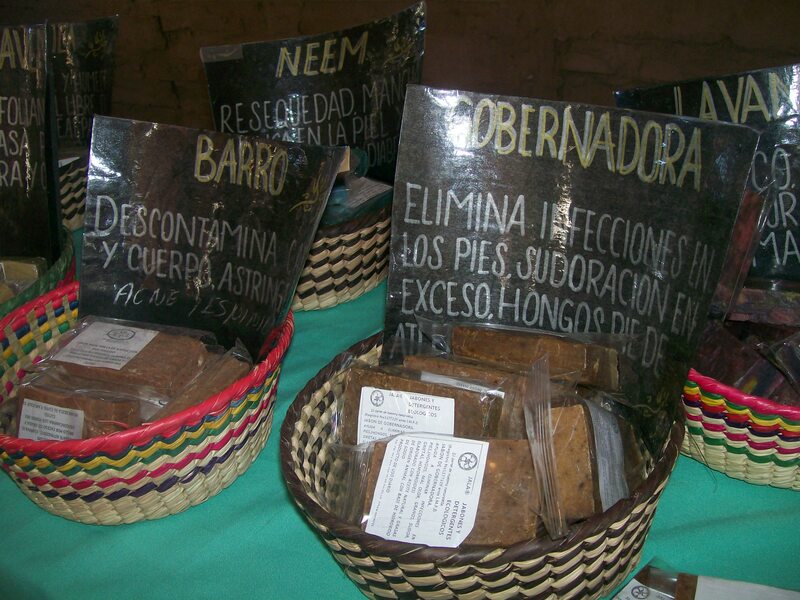 The ecotianguis is open every day from 10-5. I believe they have more offerings on Saturday, but they do offer yoga and other classes during the week. 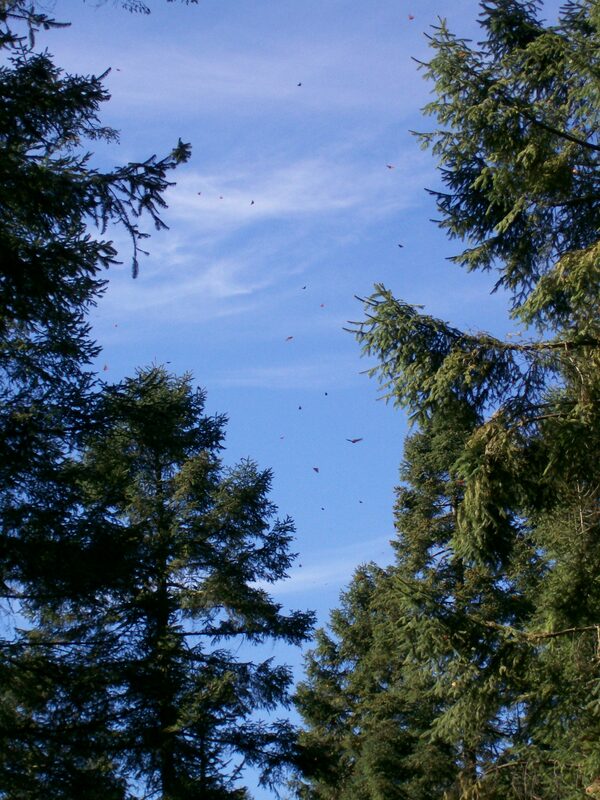 Click on this link to friend the ecotianguis on facebook. That way you can be in the know about any programs they offer.